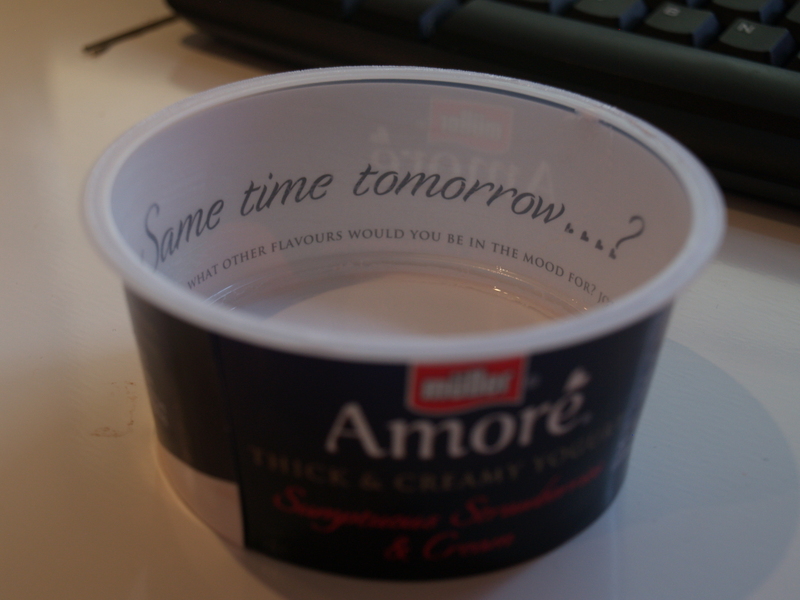 I’m a sucker for good design, and today Amoré (my favourite Muller yogurt) won me over with this lovely design once I finished the delightful strawberry yoghurt. Apart from this, my day has just consisted of university work and a delightful walk to the shop. I’m in my last 5 weeks of university now before I finish for good, so I might have to get creative with photos as I spend a lot of days just.. working. (yay).